mills, which enabled them to accommodate much bigger machines. Due to poor knowledge of iron's properties as a construction material, a number of early mills collapsed. It was not until the early 1830s that Eaton Hodgkinson introduced the section beam, leading to widespread use of iron construction, this kind of austere industrial architecture utterly transformed the landscape of northern Britain, leading to the description of places like Manchester and parts of West Yorkshire as "Dark satanic mills". The Crystal Palace by Joseph Paxton at the Great Exhibition of 1851 was an early example of iron and glass construction; possibly the best example is the development of the tall steel skyscraper in Chicago around 1890 by William Le Baron Jenney and Louis Sullivan. Early structures to employ concrete as the chief means of architectural expression (rather than for purely utilitarian structure) include Frank Lloyd Wright's Unity Temple, built in 1906 near Chicago, and Rudolf Steiner's Second Goetheanum, built from 1926 near Basel, Switzerland. Other historians regard Modernism as a matter of taste, a reaction against eclecticism and the lavish stylistic excesses of Victorian Era and Edwardian Art Nouveau. Note that the Russian word for Art Nouveau, "Модерн", and the Spanish word for Art Nouveau, "Modernismo" are cognates of the English word "Modern" though they carry different meanings. Whatever the cause, around 1900 a number of architects around the world began developing new architectural solutions to integrate traditional precedents (Gothic, for instance) with new technological possibilities. The work of Louis Sullivan and Frank Lloyd Wright in Chicago, Victor Horta in Brussels, Antoni Gaudi in Barcelona, Otto Wagner in Vienna and Charles Rennie Mackintosh in Glasgow, among many others, can be seen as a common struggle between old and new. An early use of the term in print around this time, approaching its later meaning, was in the title of a book by Otto Wagner. A key organization that spans the ideals of the Arts and Crafts and Modernism as it developed in the 1920s was the Deutscher Werkbund (German Work Federation) a German association of architects, designers and industrialists. It was founded in 1907 in Munich at the instigation of Hermann Muthesius. Muthesius was the author of a three-volume "The English House" of 1905, a survey of the practical lessons of the English Arts and Crafts movement and a leading political and cultural commentator. The purpose of the Werkbund was to sponsor the attempt to integrate traditional crafts with the techniques of industrial mass production. The organization originally included twelve architects and twelve business firms, but quickly expanded. The architects include Peter Behrens, Theodor Fischer (who served as its first president), Josef Hoffmann and Richard Riemerschmid. Joseph August Lux, an Austrian-born critic, helped formulate its agenda. Frank Lloyd Wright's career, in which he built more than Mies, Le Corbusier and Gropius combined, parallels and influences the work of the European modernists, particularly via the Wasmuth Portfolio, but he refused to be categorized with them claiming that "they" copied his ideas. Wright was a major influence on both Gropius (founder of the Bauhaus) and van der Rohe, however, as well as on the whole of organic architecture. Gropius claimed that his "bible" for forming the Bauhaus was 100 Frank Lloyd Wright drawings that the architect shared with Germany over a decade prior to this point. Many architects in Germany believed that Wright's life would be wasted in the United States, since the US wasn't ready for his architecture. Just as many European architects saw Wright's Larkin Building (1904) in Buffalo, Unity Temple (1905) in Oak Park, and the Robie House (1910) in Chicago as some of the first examples of modern architecture in the 20th Century. It would be 2-3 decades later before the European architects would bring their version back to the United States. This was an important turning point. With World War II the important figures of the Bauhaus fled to the United States, to Chicago, to the Harvard Graduate School of Design, and to Black Mountain College. While Modern architectural design never became a dominant style in single-dwelling residential buildings, in institutional and commercial architecture Modernism became the pre-eminent, and in the schools (for leaders of the profession) the only acceptable, design solution from about 1932 to about 1984. Architects who worked in the International style wanted to break with architectural tradition and design simple, unornamented buildings. The most commonly used materials are glass for the facade, steel for exterior support, and concrete for the floors and interior supports; floor plans were functional and logical. The style became most evident in the design of skyscrapers. Perhaps its most famous manifestations include the United Nations headquarters (Le Corbusier, Oscar Niemeyer, Sir Howard Robertson), the Seagram Building and the Toronto-Dominion Centre (Ludwig Mies van der Rohe), and Lever House (Skidmore, Owings, and Merrill). 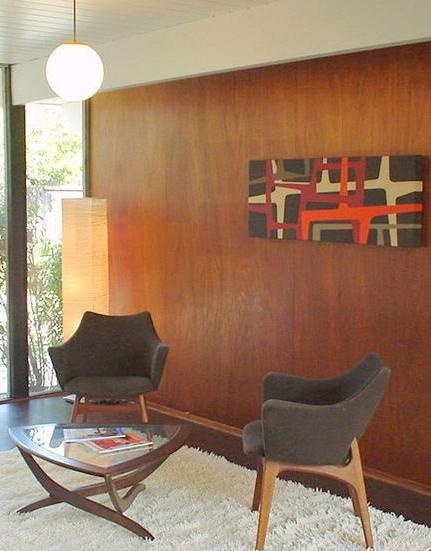 A prominent residential example is the Lovell House (Richard Neutra) in Los Angeles. Detractors of the International style claim that its stark, uncompromisingly rectangular geometry is dehumanising. Le Corbusier once described buildings as "machines for living", but people are not machines and it was suggested that they do not want to live in machines. Even Philip Johnson admitted he was "bored with the box." Since the early 1980s many architects have deliberately sought to move away from rectilinear designs, towards more eclectic styles. During the middle of the century, some architects began experimenting in organic forms that they felt were more human and accessible. Mid-century modernism, or organic modernism, was very popular, due to its democratic and playful nature. Oscar Niemeyer, Alvar Aalto and Eero Saarinen were three of the most prolific architects and designers in this movement, which has influenced contemporary modernism. Although there is debate as to when and why the decline of the modern movement occurred, criticism of Modern architecture began in the 1960s on the grounds that it was universal, sterile, elitist and lacked meaning. Its approach had become ossified in a "style" that threatened to degenerate into a set of mannerisms. Siegfried Giedion in the 1961 introduction to his evolving text, Space, Time and Architecture (first written in 1941), could begin "At the moment a certain confusion exists in contemporary architecture, as in painting; a kind of pause, even a kind of exhaustion." At the Metropolitan Museum of Art, a 1961 symposium discussed the question "Modern Architecture: Death or Metamorphosis?" In New York, the coup d'état appeared to materialize in controversy around the Pan Am Building that loomed over Grand Central Station, taking advantage of the modernist real estate concept of "air rights", In criticism by Ada Louise Huxtable and Douglass Haskell it was seen to "sever" the Park Avenue streetscape and "tarnish" the reputations of its consortium of architects: Walter Gropius, Pietro Belluschi and the builders Emery Roth & Sons. The rise of postmodernism was attributed to disenchantment with Modern architecture. By the 1980s, postmodern architecture appeared triumphant over modernism; however, postmodern aesthetics lacked traction and by the mid-1990s, a neo-modern (or hypermodern) architecture had once again established international pre-eminence. As part of this revival, much of the criticism of the modernists has been revisited, refuted, and re-evaluated; and a modernistic idiom once again dominates in institutional and commercial contemporary practice, but must now compete with the revival of traditional architectural design in commercial and institutional architecture; residential design continues to be dominated by a traditional aesthetic. That is not to say that the residential sector in the United States is devoid of examples from the Modernist movement. The Case Study Houses are prime examples of this. Commissioned around the mid-twentieth century, the six homes that were built have had more than 350,000 visitors since their completion, and have influenced many architects over the years. These and other Modern residences tend to focus on humanizing the otherwise harsh ideal, making them more livable and ultimately more appealing to real people. Many of these designs use a similar tactic: blurring the line between indoor and outdoor spaces. This is achieved by embracing "the box" while at the same time dissolving it into the background with minimal structure and large glass walls. Some critics claim that these spaces remain too cold and static for the average person to function, however. 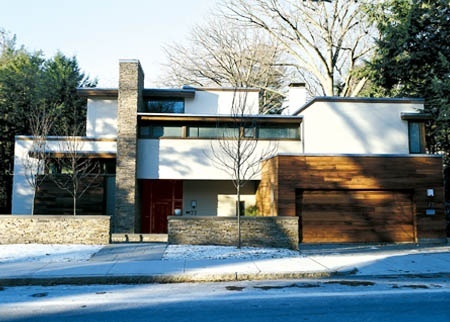 The materials utilized in a large number of Modern homes are not hidden behind a softening facade. While this may make them somewhat less desirable for the general public, most modernist architects see this as a necessary and pivotal tenet of Modernism: uncluttered and purely Minimal design. Please feel free to browse through this site to explore each of the very unique Modern home neighborhoods throughout the Bay Area. 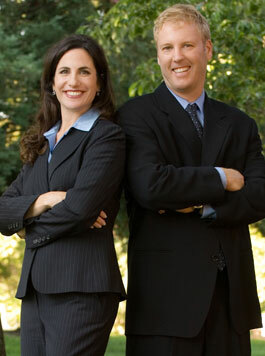 This site offers direct access to the latest Modern homes for sale throughout the Bay Area. Featuring extensive Modern home community information, Modern home consumer links, Modern home rentals, Modern home resources, Modern home history, answers to commonly asked real estate questions, and more, you will find everything about Modern home real estate within one easy source.